"It's just another day at the office for London book editor Samantha "Sam" Clair. Checking jacket copy for howlers, wondering how to break it to her star novelist that her latest effort is utterly unpublishable, lunch scheduled with gossipy author Kit Lowell, whose new book will dish the juicy dirt on a recent fashion industry scandal. Little does she know the trouble Kit's book will cause-before it even goes to print. When police Inspector Field turns up at the venerable offices of Timmins & Ross, asking questions about a package addressed to Sam, she knows something is wrong. Now Sam's nine-to-five life is turned upside down as she finds herself propelled into a criminal investigation. Someone doesn't want Kit's manuscript published and unless Sam can put the pieces together in time, they'll do anything to stop it. I picked this book up as I got a copy of the upcoming 4th book from the publisher and wanted to start at the beginning of this series. I'm not always particular at starting at the beginning of a series but I did see a review that said you needed to read the books in order. I had an unread copy of this book just waiting on my Kindle so I decided to give it a try. It was such a fun beginning to this cozy mystery series that I now cannot wait to continue on with the second book! One of the things that I loved best about this book was that it was set in the publishing world. Any book that is about books and the publishing world is most likely something I'm going to want to read so picking this book up was sure fire thing after I read the above summary. I loved all of the details that the author included in regards to the book publishing world! It just helped make this book stand out to me a bit more and I liked it more because of this. I also really liked the premise of this book as I felt it was unique. This is slightly spoiler-ey but as I was reading I didn't know if Sam was searching for a murderer or kidnapper. I felt like this added to the atmosphere of the book as well as the suspense. I found myself just enjoying my time in Sam's world so much - working in publishing would be amazing (in my opinion at least) so I just couldn't get enough of it. I will say that my one struggle with this book was keeping track of all of the characters. Sam's job and search for Kit brings her into contact with so many different characters and there were times that I just couldn't keep up with who was who. It would take me a minute to go back and figure out who that character was or where she met with them previously. Ultimately I was able to finally get them all straightened out in my head so it didn't affect my reading enjoyment too much. I also really enjoyed the ending of this book. I felt like the author did a great job of wrapping everything up in a way that tied it all together without being over the top about it. I was left really excited about this series and eager to pick up the next book! I really enjoyed my time with this book and am glad to have finally read it! Now I have three more books to look forward to and hopefully enjoy just as much! I liked Sam's character so much which has me so excited about this series. Plus, I cannot wait to read more about her job while finding out what kind of trouble she gets herself into next. I almost forgot to mention how much I enjoyed her Mom's character. Her mother is a serious force of nature and I hope that she continues to play an important role in future books. She just was such a great secondary character so I hope we get to see a lot more of her! 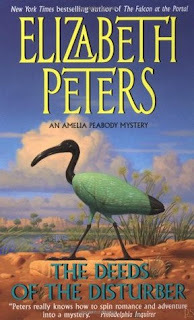 I would recommend this book to fans of cozy mysteries and mystery readers in general! Bottom Line: A fun and suspenseful beginning to this cozy mystery series! I plan to read more! Disclosure: I received a copy of this book thanks to the publisher and NetGalley. Now every guest and employee is a suspect. Every friendly face a mask. Every kind word a lie. Kellen's driven to defend her job, her friends and the place she's come to call home. Yet she wonders--with the scar of a gunshot on her forehead and amnesia that leaves her unsure of her own past--could the killer be staring her in the face?" I picked this book up because I loved the sound of that summary and decided it needed to be my next read. It was a pretty great choice and I'm excited because it is the beginning to a series which I didn't realize until I finished. There was so much going on in this book that I almost don't know where to begin. Kellen has had a bad run of things which is why she is now working at a vacation resort far away from the life she once led. As you begin to read this book, there are chapters that explain her past and help to make more sense of why she is the way she is now. I liked the back and forth and felt that it helped flesh out Kellen as the main character. There was a really solid layer of tension to this book thanks to everything that was happening. And because Kellen is missing memories from a year of her life there is also a slightly unreliable narrator feel going on with Kellen. She doesn't know the full truth of what happened so I as the reader couldn't fully trust her memories in relation to everything that was going on. I'm trying to not give too many details as I don't want to spoil anything for anyone that hasn't yet had the chance to read this book. Fair warning though - I'm going to get a little more detailed now so if you want to skip ahead to the next paragraph and avoid spoilers feel free. My one and only complaint with this book was that it lacked believability at times. Letting Kellen be involved in the investigation of the woman's body for one. I found early on that for me to really enjoy this one to let those details go and just enjoy the ride the author was taking me on. I only mention it because it did bother me at first and may also bother other readers in the same way. On a different note, I loved the ending of this book! I realized that I was getting towards the end and didn't yet have all of the answers so it wasn't a surprise to me that the book ended in a cliff hanger. But what did surprise me was how that all played out - boy do I sure wish I already had that next book waiting in my hands! I cannot wait to see what happens next! Overall I really enjoyed my time with this book and am left wanting more! This is my first book by Dodd but it won't be my last. A couple of times this book mentioned a place called Virtue Falls and I believe that I have the first book in that series on my own shelves. Maybe I'll go and try that series while I wait for the next book in this series to release. It wasn't a perfect read but it was a book that sucked me in so I couldn't stop reading. I would rate this one a solid four stars which is pretty darn good. It wasn't perfect but I enjoyed my time with it which is all I can really ask. I'm excited to go and check out Dodd's backlist now to see what else I've been missing out on. Recommended! Bottom Line: A suspenseful read that left me wishing for the next book! Good morning everyone! Happy Mother's Day to all of you who celebrate, and for those of you that find this to be a difficult day know that I'm thinking of you. We unexpectedly had a free weekend thanks to rainy weather. My daughter's softball tournament (it was a one day tourney) cancelled so I managed to get some serious house cleaning done yesterday. It means that today all I really have to do is relax and work on my laundry piles which is perfect! It also means I can squeeze in a reading update this morning which I haven't had time to do in a few weeks. 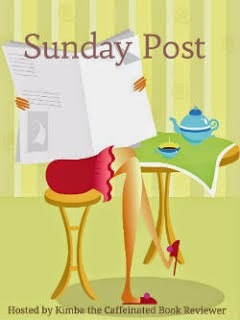 It has been awhile since my last Sunday post! 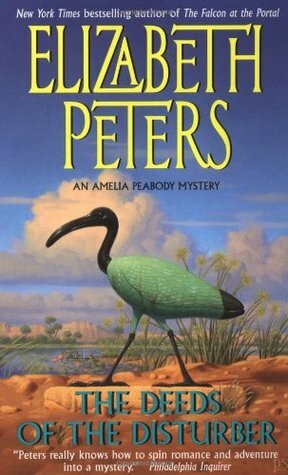 The Deeds of the Disturber by Elizabeth Peters - It has been entirely too long since I last read a book in this series! I adored my time with this one and found myself unable to stop reading. I laugh out loud at these books and just cannot recommend this series enough. I missed that they weren't actually on a dig this time around but it was also a fun change of pace. I pulled this one off of my own shelves and it was the perfect choice! 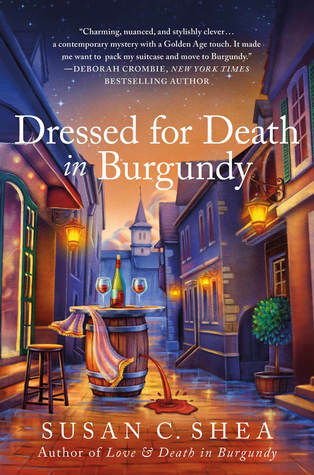 Dressed For Death in Burgundy by Susan C. Shea - I actually shared my thoughts on this one last week so check out my review for it! This was such a fun follow-up to the first book in this cozy series and left me excited for more. I love how the author is able to make me feel like I'm actually in France while reading this series. It's such a great reading experience! The Perfect Stranger by Megan Miranda - This was a page turning read! I found myself fully immersed within the pages although there was something about the book that I didn't quite connect to all of the way. I can't put my finger on it. I really enjoyed it but that something dropped it from what could have been a five star read to a four instead. Review to come! 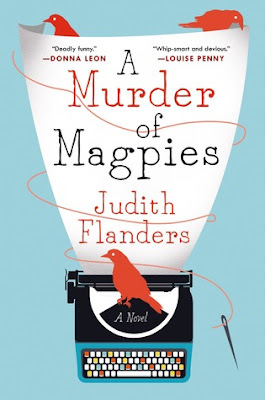 A Murder of Magpies by Judith Flanders - I have a NetGalley copy for the 4th book in this cozy mystery series but decided to start with the first book instead. This was a fun cozy mystery featuring the book publishing world itself which I truly enjoyed. I'm really excited to now move on to the 2nd book (hopefully in the very near future). I'll be sharing my thoughts on this one soon as well. 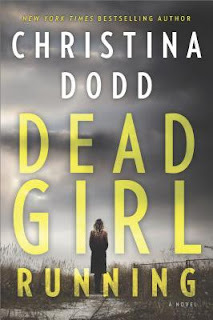 Dead Girl Running by Christina Dodd - I just wrote up my thoughts on this one and my review will be posted later this week. I enjoyed this book and am excited that it is the beginning to a new series? Trilogy? Not exactly sure but I do know that there are more books to come which I'm really excited about. This is my first book by Dodd but it certainly won't be my last. 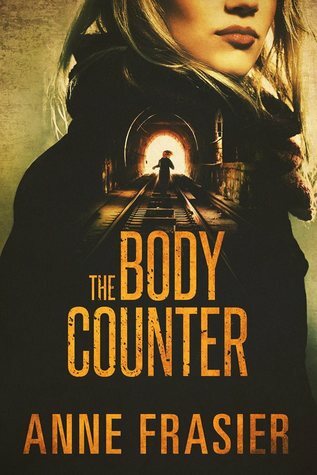 The Body Counter by Anne Frasier - I've been waiting for this book EVERY since I finished the first book over a year ago. I finished that one just hoping that it was going to be the beginning to a mystery series and was thrilled when I saw that was actually happening. This book was just as good as the The Body Reader and left me wanting more. I will be reading everything/anything this author writes after loving these two books so much. Review to come closer to June and this book's release date. I've just barely started this one but I'm so excited as I really enjoyed the first book in this series Unsub. I decided not to wait too long with moving on to this second book after seeing that there is a third book coming. I'm going to work on not "saving" those next books so often and instead keep current with the series/authors that I love. That's the plan at least! Plans for today are enjoying this quiet, low-key Sunday. My husband is cooking me a really good dinner this evening. I'm hoping to work on some more reviews to get ahead a little bit because obviously time is a bit of a shortage. I plan on visiting all of you hopefully later this evening because commenting is something that has also been set to the side due to this crazy schedule of mine. I'm off to go soak in the tub with my book but before I do that I just want to say THANK YOU! Thank you to all of you who still stop by and comment even when my responses/commenting back are not up to par. Just know that I am making the time to read all of your blogs even when I don't find the time to comment back as regularly. 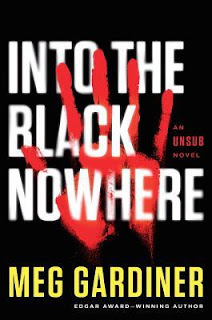 Wow - this was such an intense ride and left me beyond ready to get my hands on the second book when I finished. If I had a copy of the second book ready and waiting for me - I'm 90% certain that I would have picked it up and continued on. I enjoyed this book that much and wanted to see what was going to happen next! This book was non-stop when it came to pacing. The author creates this suspenseful and thrilling atmosphere from the very beginning and that feeling didn't end until the very last page of the book. I literally could not stop reading this one because from very early on I became attached to Gwen and her kids. As a mother she is doing all that she can to protect them - protecting them from the twisted legacy that their father has now left them and also protecting them from the public who may want retribution for the horror their father caused. I almost felt that Gwen was paranoid at times and then their were other times when I realized she clearly wasn't. You didn't know who she could trust while reading this book which really helped add to the layer of tension that Caine had already created. I cannot put into words how intense I found this book and how hard it was for me to put down! I believe I read this in two days but really I read the majority of it all in one day. I just could not stop reading! There were a few things I guessed but so many others that I did not. I especially liked the ending because there was enough closure while also clearly setting things up for the next book. I am so excited that I have the next book to look forward to!!! Overall I really, really enjoyed my time with this suspenseful read which I'm sure you can tell from all of the gushing above. If I gave ratings I would easily give this one five stars based off of intensity alone. It was just so good! I've read this author before - she has an urban fantasy series that I've read a few books from (and enjoyed) but I really feel like she has hit her stride with this series. I hope that she continues to dip her hand in the mystery/thriller waters because I want more books just like this! I can easily recommend this book to fans of suspense and thrillers. I will give you the warning that you may want to have the second book ready to read as well. I sure wished that I did after finishing this one! Highly recommended! Bottom Line: A five star read for me - enough said! "After finding herself mixed up in a murder investigation the previous Summer, Katherine Goff’s life simply has not been the same. Her husband has been in the US recording a new album, the Burgundy region locals are finally starting to see her as a real neighbor, and Katherine has even started helping out with “tourist” excursions. It seems she’s finally found her place in the small community of Reigny-sur-Canne. However, the more clues they discover, the more the real killer wants them off the trail. 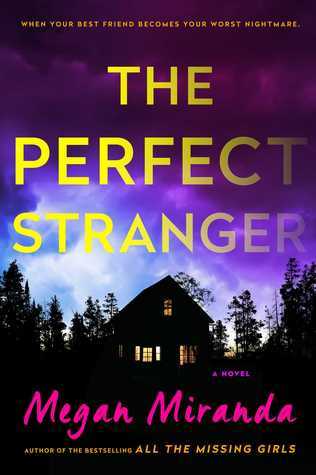 When Katherine and Pippa start receiving threats, they must decide what they are more afraid of—the police getting it wrong, or possibly becoming the killer’s next targets." Last year I read and adored the first book in this series Love & Death in Burgundy. I remember wishing and hoping that it was going to be the beginning of a series because I had found it to be such an enjoyable read. I was so thrilled when I saw this book and realized it really was part of a series. It was an absolute joy to jump back into Katherine's world and Burgundy yet again. One of my favorite things about these books is the sense of place that you get while reading them. I've never been to France but reading books like this sure makes me want to go. I can't get enough of just the little every day details that are included about Katherine's life there. The small specialty shops she goes to in order to by certain foods and her distaste for big shopping centers is so much fun to read about. This book is actually told from two separate viewpoints - Katherine's and a secondary character from the first book named Pippa. I was just thinking that we got more of the details I was mentioning before in the previous book but I think that is because the time was split between Katherine and Pippa. I preferred Katherine's point of view myself but I did mostly enjoy both. 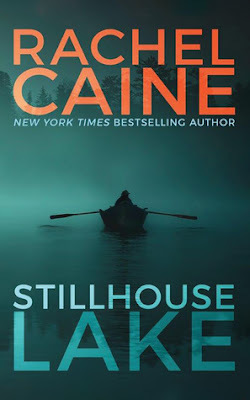 It's funny but I was less worried about the mysteries when reading these books and more just immersed in the every day life that Katherine was living. I will say that the mystery in this book had me more intrigued in comparison to the first book. I also really liked the ending. I felt like it was just the perfect feel to this cozy series and left me wishing and wanting a third book! Overall, I enjoyed my time with this book and these characters so much! It was such a delight to dive back into this world that the author has created with characters that I've grown to actually care about. I love the little details that the author adds to each book that makes you feel like you are actually there while reading. I just found myself so completely immersed in this book that I was almost sad to see it end. I wasn't ready to say goodbye to Katherine and her friends quite yet! I will say that I skimmed a few Goodread's reviews after finishing this one and it looks like readers may benefit from reading this series in order. It's only two books so not too overwhelming to think about and I think that those details that carry over from the first book will only enhance your enjoyment of this one! In the meantime, I will just be sitting over here pining and wishing for book three. A solid four star read and a series that I can easily recommend! Bottom Line: A wonderful follow-up to the first book and has cemented my love of this series!